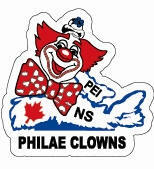 As Shrine Clowns our mission is simple…to bring a smile to all we meet regardless of age. We have the distinct honour and privilege of being directly involved with the children of our community. Not only the children of fellow Shriners, or the children we entertain during our many parades and community events, but most importantly the children that we serve through our Shrine Hospitals. We take great pride in our activities. We love to see the joy and wonder on the faces of children as we make balloon animals, try to work our magic or simply act like big kids ourselves. We get up close and personal with those that Shriners cherish most…the KIDS!! 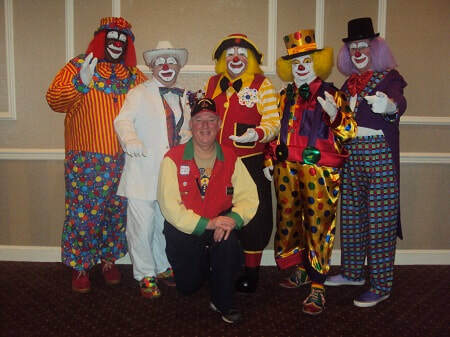 As Shrine Clowns we are always working to bring a smile to a Child. the kids at our 22 Shrine Hospitals for Children throughout North America. burn, orthopaedic or spinal cord care. and prevented static charges which can be so painful to tender burned skin. over a quarter million dollars annually.